The Hybrid Pack Vest comfortably hauls everything you need to deal with rapidly changing weather and fishing conditions. 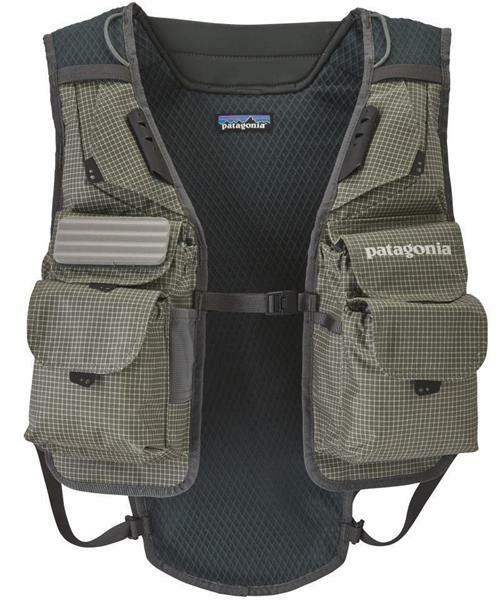 Patagonia started its design from the now-classic Vertical Pocket Vest, and then updated the fabric and added an integrated pack. For improved comfort and performance, the vest body is made from light, tough and water-repellent 5.5-oz Cordura® 86% nylon/14% polyester ripstop with a polyurethane coating and a DWR (durable water repellent) finish. The vertical pocket configuration provides easy storage and access, while Hypalon® utility keepers, D-rings and multiple internal zippered pockets put everything in its place. Large rear storage pocket holds lunch, jacket and anything else you want to carry around. The pack also has a sleeve for a hydration bladder. Front and side adjustments make it easy to maintain fit as your insulation changes along with the temperature.